The introduction of the beginning of May Bank Holiday by Michael Foot in 1978 might have been a response to a traditional day off for workers in Iron Curtain countries at the time, but it’s fair to say that the Clayton family had no such intentions of taking it easy this Bank Holiday weekend. 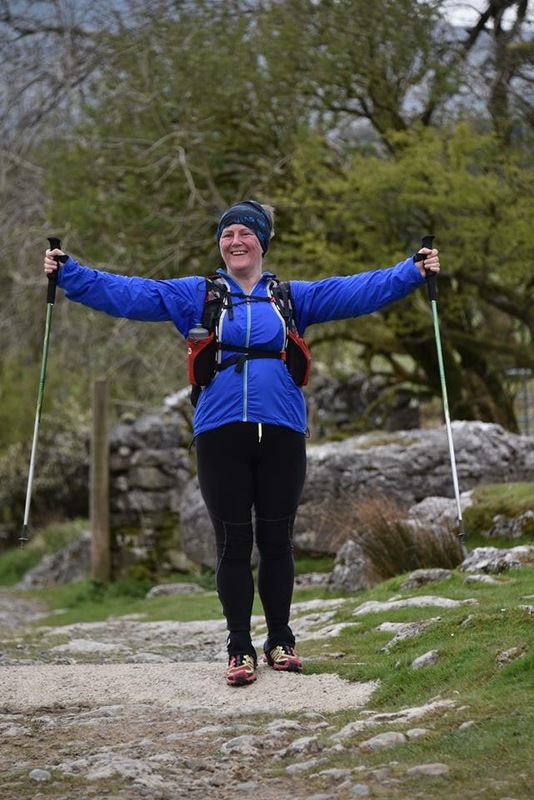 Some stunning achievements on the fells of the Dales, multi-discipline success and the usual rapid road running has led to a real humdinger of a weekend. Take a breather, for a moment, and savour what you’ve all been up to. 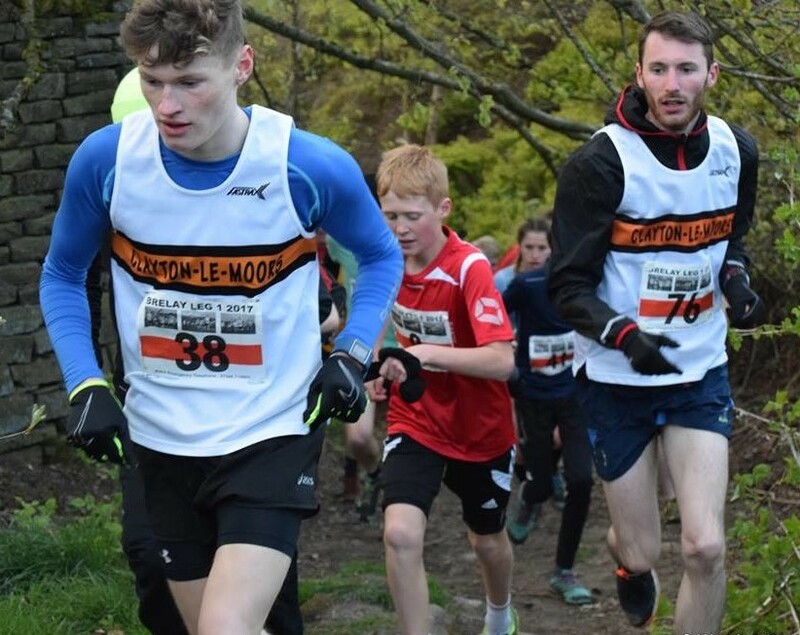 The local midweek fell race season is here properly now – Orchan Rocks is one of those classic up and down, short blast of fun races that you can squeeze in after a day at work. Just under 3.5 miles and over 900ft of climb means a big effort up and a swift descent back down. Alex Whittern of Calder Valley won in 22:30 and five Clayton runners took part: 26th Mark Nutter MV50 in 30:01, 33rd Andrew Howarth MV50 in 32:35, 34th Darren Rushton MV40 in 32:43, 42nd Colin Woolford MV40 in 34:24, and 45th Steven Fish MV60 in 36:05. 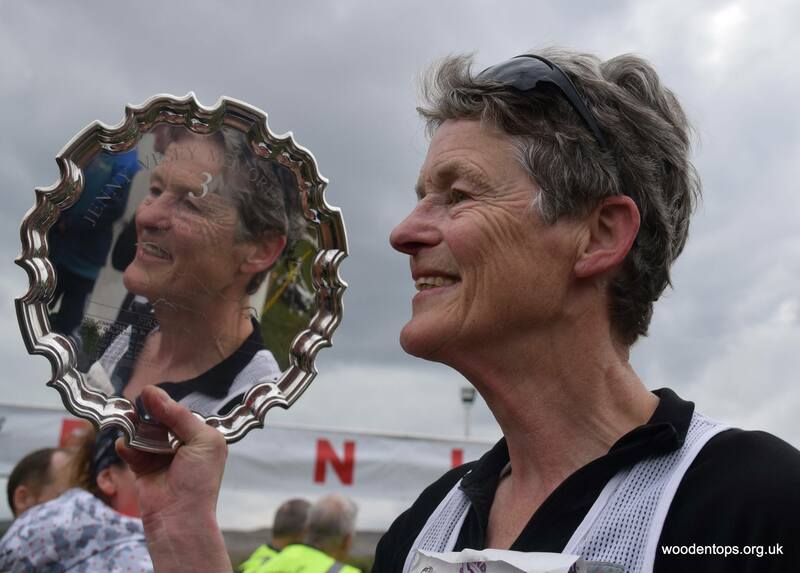 The Bunny Runs are a frantic,fast low-key series of runs organised by the recently honoured, fell running royalty couple Dave and Eileen Woodhead. The three weekly, 5k-ish runs culminate in a relay which I entered as part of a parents team to run alongside our kids (prior to James Boult organising a team from Clayton unfortunately) The relay involves carrying a raw egg up and around Penistone Hill using the hard gravel tracks, with the fastest runners completing it in around 9 minutes. The conditions were near perfect,wind pushing you up the hills,dry underfoot, maybe a little cold but otherwise excellent. As expected the personnel changed within our team, and having offered to help James out as a replacement the parents mustered a team and I was asked to run the last leg, conveniently against my daughter. Briony’s team gave her a minutes start on me so I was left chasing shadows. Despite getting excited and setting off at a ridiculously fast pace I didn’t burn out and settled into a fast but short run finishing the 1.6 mile course in a reasonable time of 11-20. We avoided any injuries, dodging sweets and cream eggs at the pub later, what better way to spend your Tuesday evening. Great to see so many other orange shirts at the event too. Starting out of Whitworth, Rossendale this race was won by T. Muir in 17:36. John Roche was first Clayton finisher, back home on 19:57. Wow! The 63rd edition of this classic race didn’t disappoint from a Clayton point of view. We had a bumper number of competitors testing their pacing and nutrition strategies, some back for their 21st finish, top 10 team finishes for the clubs leading teams, an age class win and an incredible podium finish for a Clayton vest. Where to start…? Both Andy Orr and Martin Brady completed 21 3 Peaks Races this weekend, an amazing run of completions for this tough race. They will receive a special commemorative award listing their races and times. For Martin, this was an extra special achievement as several of his 21 completions have come after having after heart valve surgery 7 years ago. Bravo both of you. Clayton ‘s A team secured 6th overall in the highly competitive team competition. Well done to Chris Holdsworth, Dave Motley, Matt Perry and James Williamson. The MV40 team of Richard Stevenson, Andrew Orr and Peter Coates was 4th and the MV50 team of Garry Wilkinson, Paul Hesketh and Martin Terry went better still and was 2nd. Wendy Dodds took the WV60 win in 4:51:07 and a collected a fine looking trophy. 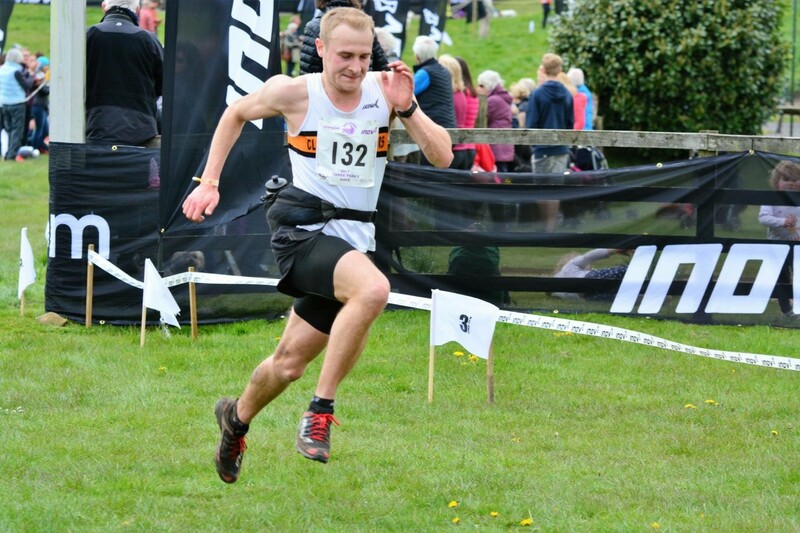 However, the story of the day had to have been Christopher Holdsworth’s 3rd place overall in 2:54:49. 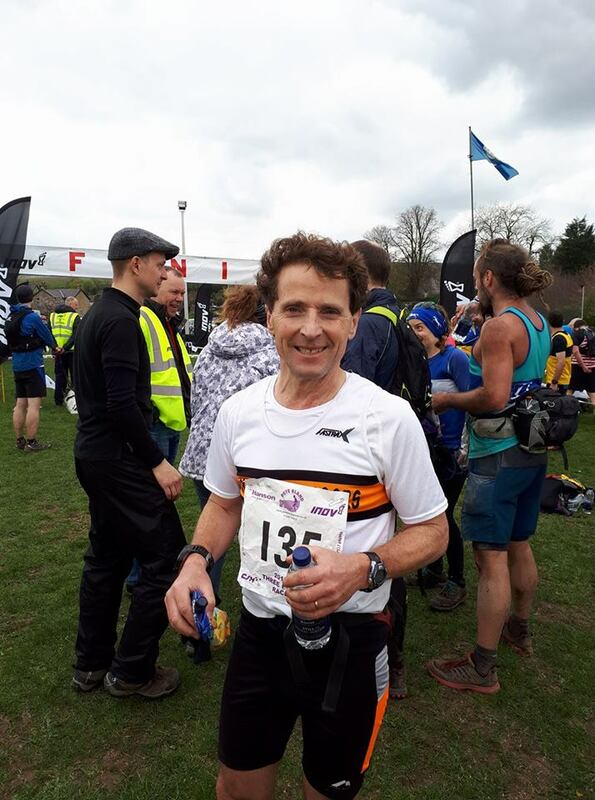 After a hard winter and Spring of training and some results indicative of his building form, Chris attacked the race at full gas, at times holding second place and giving his all at the finish to somewhat over-achieve on his goal of a sub 3hr run. Last year I wrote a few tips to consider when competing at the Three Peaks. One of them was to never feel like you are over exerting yourself before you’ve reached Ingleborough – otherwise you risk a world of pain at the hands of Whernside. However, this year I had to ignore my own advice if I wanted any chance at the targeted goal of a sub 3 hour Three Peaks result. With it being an unusually dry day for the area, I knew there’d be no better time to achieve it! From the beginning I had intentions of keeping on the back of the leading 5 or so runners. The legs were feeling particularly fresh and I soon found myself jostling for 2nd and 3rd place on the way up to Pen Y Ghent. Near the summit I could see Ricky Lightfoot was looking to be struggling. Once we descended off Pen Y Ghent I decided to just sit on the back of Ricky and move past when the pace he was setting dropped below the pace I was feeling comfortable at. Half way to Ribblehead I moved ahead and made good progress to the checkpoint. Reaching the summit, the cramps were still going strong and were joined by a cramping up back from the tired jolts running down the flag steps. Unable to breathe or control my legs, I held on knowing Ilkley’s Jack Woods wasn’t far behind. I knew I had to just get back to the road section where I could get back to some quicker running, regain my form and shake the cramps. The smile I had for most of the run was fading, and was in need of some fuel to see me through to the climb up Ingleborough. Reaching Hill Inn I was able to pick up my Mountain Fuel infused water and took on as much as I could. It allowed me to run the whole way up to Ingleborough. Sadly, like rot, the cramp had set in and my calves were tiring on the steep boulders just before running to Ingleborough summit checkpoint. I had 30 seconds or so on the tailing runners, Jack Woods and a Salomon runner I thought to be Ricky Lightfoot with a second wind, but they soon made that up and passed me on the tougher sections down off the top. I could only delicately descend off Ingleborough and hoped to make up the time on the less technical section. 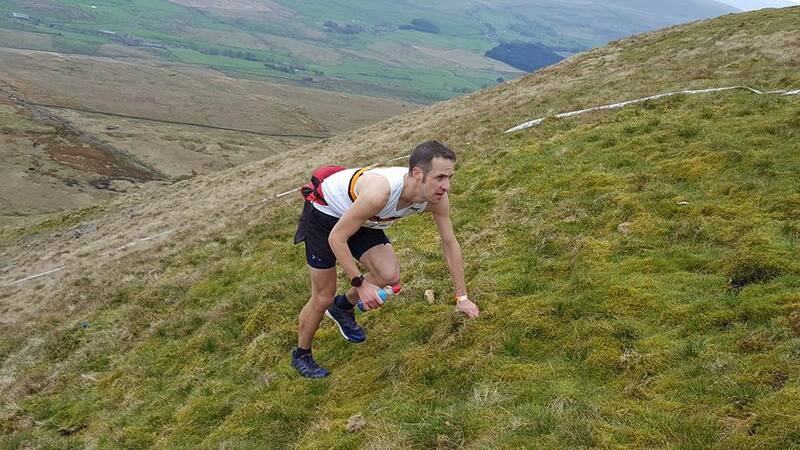 Really unfortunately, Jack Woods took a tumble which allowed me to move back ahead to chase down the Salomon runner. At this point my feet were in bits, the nuts and bolts were loosening and I could feel the body crying out for the finish. All I had to do was keep the Salomon runner in view, hang on and reach the finish to place 4th and Sub 3 hours. Turning down into the finish straight, I could see I was coming in under the 2H55 mark if I could put a sprint on. The roar of the crowd cheering me down the finish spiked the adrenaline and I was able to come in at 2:54:49 – goal achieved! 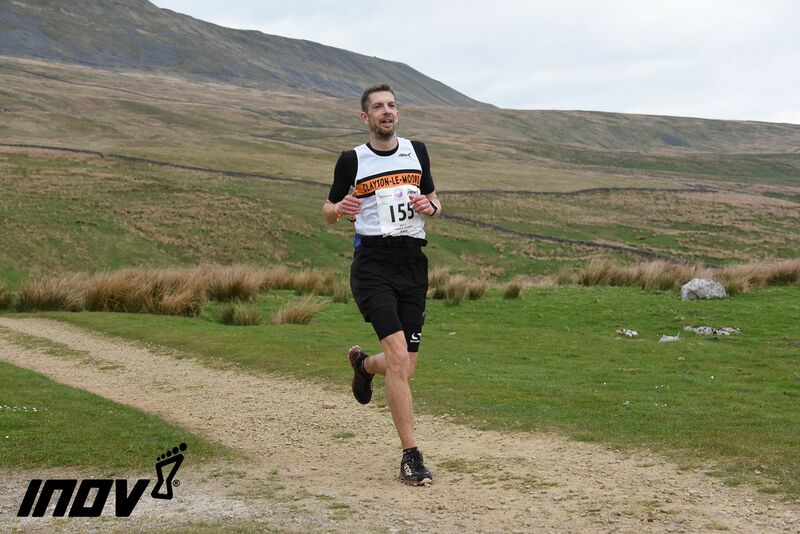 It wasn’t until a few minutes after that I realised it wasn’t Ricky coming past me, but Tom Owens who had gotten lost after Whernside, meaning I had actually finished in 3rd place and 100 quid richer! I was incredibly pleased to finish where I did, and felt I couldn’t have raced any better than I did on the day, but there’s still room for improvement yet. The support around the course was the best I’ve ever experienced, and the amount of people sending me messages of congratulations has been overwhelming and is really appreciated. 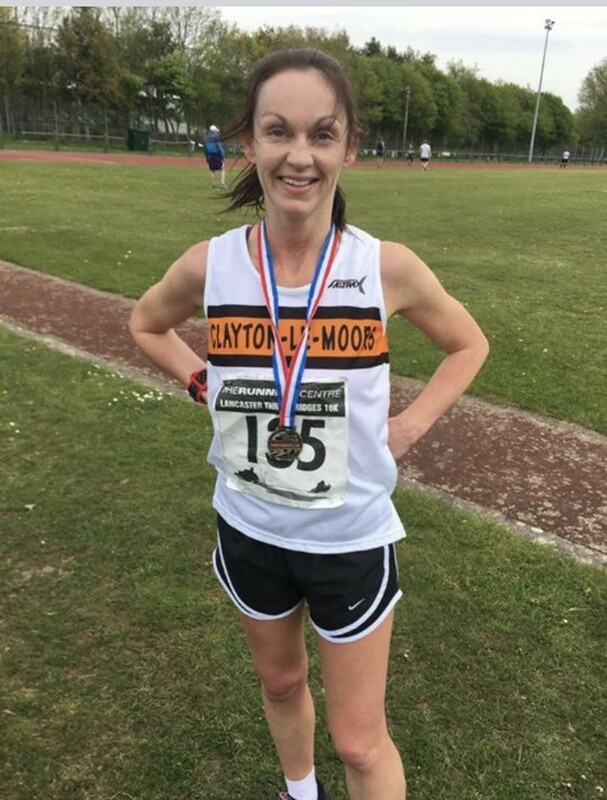 There were great performances on the day from every Clayton-le-Moors member, and you can tell that this race is special to the club. I can’t wait to do it all again next year! people I made the decision to have a go at the Yorkshire 3 Peaks race this year. So after doing enough qualifying races and spending many hours running up and down as many hills as I could find I was excited and raring to go as we congregated in Horton on Saturday morning. I knew it was going to be tough, I’d had numerous people advising me on how to run certain sections where to hold back where to dig in and how to try and fuel myself so that I didn’t bomb on Inglebrough. So after all the months of training, the planning and the preparations the event didn’t disappoint. Yes it was brutal, yes my feet and legs are battered, yes it was mentally draining but would I do it all again next year, of course I would, who wouldn’t? I heard it described as the off-road equivalent of the London Marathon and I can see why, for atmosphere and camaraderie it was fantastic. With the banter between runners and the endless support out on the course from marshals, club members and friends it can drag you through any bleak moments. So thanks to all who shouted and supported me on the day and to everyone who give me advise, very much appreciated. I would definitely recommend this event if you fancy a challenge. Also a huge well done to all members who ran, whether it was your 1st or 21st and whether you finished 3rd or 503rd I hope you enjoyed it and I’ll see you there next year. Five hardy Clayton runners toed the line for this 60plus mile, iconic ultra distance event round the Yorkshire Dales. It’s classic route, and comprehensive support for runners and walkers attracts a large and often loyal entry. 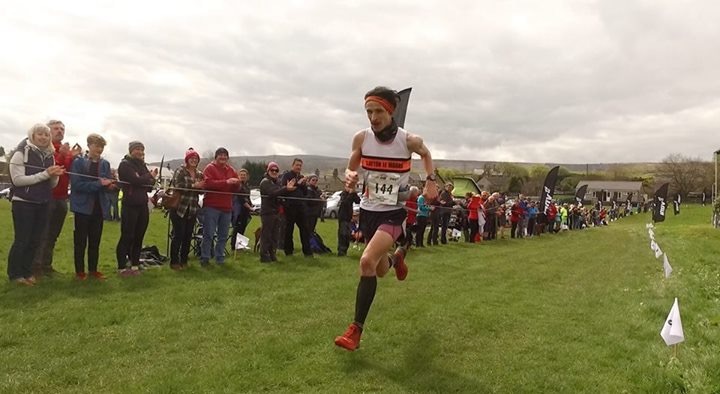 Five Clayton Harriers milled about nervously on the playing field behind the Community Centre in Ingleton as ready as they could be for the start of the Fellsman, a tough and gnarly 61 mile traverse over the high ground of the Yorkshire Dales. Four fast lads and then plodder me; just 4 would finish. This year conditions were exceptionally good. We’ve had a relatively dry spell of weather over the last few weeks and there was even a weather warning for potential sunburn. Unheard of for an event that often throws torrential rain, hail, sleet and snow at the entrants. In my head this event has three distict parts; the first part is the “dear God I really hate hills” climbing section (Ingleton to Dent), the second part is the “I really, really hate mud and tussocks” section (Dent to Hell Gap) , and finally, the last bit is the “I just really, really, really want this to be over” section (Hell Gap to Threshfield). A combination of too warm clothing and mild weather made it slow going for the first section and even a bog-free climb up Blea Moor didn’t make for speedy progress. Any hopes of making it to Fleet Moss before I was grouped for the night section were abandoned early on – this was going to have to be a completion so I decided to just plod on and make the best of it. I was grouped at Redshaw in a team of 6 for the night section. We fast hiked and made steady progress over the tricky section from Fleet Moss and Yockenthwaite Moor. Again not much in the way of bogs this year but plenty of rough tussocks to batter the feet and ankles. The wind got up and, while it wasn’t sub-zero like previous years, it got pretty cold. I was finally glad of my warmer gear. We headed up and over Buckden Pike and took a really direct line to the checkpoint at Top Mere – we saw headtorches from one or two other groups around but seemed to leave them all behind. We got to Park Rash just as it was coming light. One of the group had been suffering with knee issues for some time and when we got to the checkpoint he was looking in a bit of a bad way so we stayed for a lot longer than I would have liked. Eventually, he decided to carry on and we were off for the final climb up Great Whernside which was disappearing into mist as we headed up to the summit ridge. You hit an area of peat hags on the way down from Great Whernside where I got stuck for a while last year because they were massive after an exceptionally wet winter. This year they were fairly dried out so we got to Capplestone Gate with only a few ankle deep bits. I stopped to take off my warm gear and get ready to run the last few miles to the finish only to be shouted back by our group leader. We hadn’t been officially disbanded and to leave before then would have meant a disqualification for the whole group. So with slumping shoulders worthy of a teenager I tramped along sulkily at the back until we got to the final checkpoint at Yarnbury and we were officially disbanded. With a cheery wave I set off on the final 2 mile road section trotting as fast as I could which wasn’t really very fast at all after 24 hours on the go. I forgot to look at the time when I got in but I’m fairly sure it was a little over 24 hours. Didn’t manage to crack it this year but despite swearing off this event for the rest of my life, I might just have another go at breaking the 24 hour time next year. Ralph Baines had a great run; with a Bob Graham round in his sights, all of his Lakeland training sessions paid off big time and he knocked a good 2 hours off his best Fellsman time. Nick Olszewski had a tough run but still finished in around 16 hours 24. Andy Armstrong had a fast start but retired at Stonehouses after becoming dizzy and fatigued. I think the final runner was Andy McFarlane but I am not sure how he got on. Tom Addison won this AM 8.7m race with 3494ft of climb in 1:08:13 from Sam Tosh in second. First woman home was Lou Roberts in 1:25:47. 1. Start steady and 2. Don’t get it wrong off the Old Man. Pre race was jovial and the race contenders were pretty obvious with Tom Addison and Sam Tosh both in attendance preferring this to the masses slogging round the Yorkshire Dales. There were also a good few Clayton present. I got loosened up and had a brief recce of the first climb, which didn’t look too bad until I was informed that what appeared the crest wasn’t anywhere near the summit and I probably had the best part of another 1000′ after that, splendid. Into the race and last week was clearly evident on the first climb as I laboured up the initial slope with doubts of how the rest of the day would play out. Thankfully Andy Firth was in sight and he led a group of 4 Clayton up a pretty good line to the summit of Weatherlam. A tricky descent was followed by the technical ascent of prison band to the summit of swirl how. I was feeling pretty decent by now and the pretty flat, yet technical run to Coniston Old Man seemed to come and go without much thought. Off the Old Man I opted for the tourist path as I’d never been up before and the wrong line off the direct approach can leave you in bother with cliffs and crags through the quarry. I descended pretty well but knew it was a longer line when the Dugdales popped out on the path before me having been ahead of both of them at the summit. A big effort down the final stretch saw me pick up a couple of places and even pip a young Ambleside runner on the line. Top day our at a top race! Having asked on the Facebook page for a recommendation for a nice 10K I ended up booking in for the ‘Piece of Cake’ 10K race at Boggart Hole Clough. Given that I’m pretty sure I asked for a nice fast 10K I was a little surprised to hear all the talk about ‘angel hill’ but as a seasoned fell runner (I’ve now completed one) I put this to the back of my mind and readied myself for a crack at this hill they were all going on about and tried to keep the faith that a new personal best could still be on the cards. It turned out that Angel Hill was indeed a bit of a beast (albeit nothing to worry our proper fell runners) but all the training up and down Pendle Hill with our wonderful juniors must have paid off as I did manage to battle up it (three times) and managed to get round in under 45 mins for a new personal best time. All in all I would strongly recommend the Piece of Cake race to anyone looking for a friendly inclusive race. It’s probably not the fastest course going but of the handful I’ve now done it was definitely one of the most fun. Our talented Junior aquathletes/triathletes have been in action this weekend again at one of the Triathlon England North West series races, Helana White in the T2 Class and Ellie Root in the Youths. Helana raced first and this was definitely a race of two halves for her. She had 250m Pool swim followed by 2K trail run. Still only 10, and new into the T2 Cat (11-12 Years) she is finding swimming against the great club swimmers hard. She was ranked 25th out of the pool (out of 32) – nearly 2 mins down on the leader… but, had a smooth & fast transition ( ranked 3rd) overall, gaining time back and flew out of transition to start her favourite discipline – Running. From our view point I could see the girls running above and around me on the trail, I could see Helana with her normal determined running style eating into the gaps and gaining lots of places. – She put the 3rd fastest run in of the category, which meant she dragged her overall position up to 8th – Very proud of her, – This bodes very well for next season in this same age group. Ellie’s race was not until late afternoon, and she had a much more consistent race across the disciplines. She swam 400m followed by 4.8k run. – Her great swimming saw her 6th fastest in the pool, whilst a fast transition (ranked 4th), put her in a good position for the run. Following the same route as Helana, but with more laps, Ellie had a good run in a very strong field and came in 9th. This put her overall position as 9th. Both girls were brilliant, once again flying the flag for Clayton and more than holding their own against the traditional Triathlon Clubs. As I was just starting to feel a little more normal after 7 months of injuries, I decided to enter the Lancaster 3 Bridges 10k. I was the only Clayton runner there and having never done this race before, was unsure of what to expect. After hearing that there were some steps to run up, my first thought was that I was going to end up on my face! Luckily, and suprisingly, I managed to stay upright even after tackling the steps 5k into the race, something which resulted in serious jelly legs. At the top, I carried on to the finish not feeling my best and about 2 minutes off my normal 10k time. I was happy to get under the 48 minute mark though, in one piece and after tackling a serious head wind along the bridges. I will definitely be taking this race on next year! The Keswick Half was advertised as one of the most scenic 13 miles 192.5 yards. They weren’t wrong. There was a very hilly 6 miles after the start, followed by 7 miles of undulating back round Derwent Water. It was well organised, with great support from locals, cyclists and tourist all the way round. A bargain at £15 with a t shirt. Optional slate coaster was also on offer at extra cost. Proceeds going to the local rugby club. Had a good race myself, 10th female and 2nd F35. Could have been less windy but other than that perfect conditions. Definitely worth a look next year. Bank holiday Monday. Free afternoon. 7 mile fell race? Why the hell not? 12pm: Sunny and warm when leaving Burnley. Sunglasses on. 12:30pm: Raining when entering Todmorden (shock horror). Intermittent wipers on. Sunglasses off. 1pm: Hit every red light going and traffic through Hebden Bridge. Excellent. Still raining. Very dull and miserable. 1:20pm: Make it to registration with the wrong shoes and not enough time to go back to the car. Sun comes out and it’s roasting again. Wonderful. Three Claytonions made the trip over to Mytholmroyd to join the 110 other runners taking on the 7 mile Coiners fell race for Bank Holiday Monday. Alan Life told us the last time he raced Coiners was in 1993 so he wasn’t sure if the route was the same. Maps were on hand but there was little time left to study it. 1.35pm: Traffic delays meant I was in trail shoes and not my fell ones when we set off and like a muppet, I set off at the front and found myself fifth for the first mile. And that is about as long as it lasted before what felt like every man and his dog came past me on the first of the course’s climbs. The only word I can use to describe this absolute b&tch of a hill is dreadful. After a quick descent down a cart track the course goes up. An initially steep woodland heads up into a lung busting climb, and this twists and turns so much that when it levels out at the top you feel like you’re about to throw up. A few hundred metres of flat leads onto another horrendous climb onto the moorlands leading over to Stoodley Pike, which, thankfully, was entirely trail and allowed me to push on. The climb up to the aforementioned monument is gradual and very scenic, with the improved conditions opening up this beautiful vista. The descent is equally as gradual, and that is where the trail ended and my footwear became utterly useless. The race organiser told us the nice weather meant the first part of the course was dry, and the latter was boggy to the extent of knee-deep patches. He wasn’t wrong. After riding my luck for the first half a mile after Stoodley Pike I went down like a sack of spuds, thankfully just after a photographer. Literally just after though. As in, as soon as the shutter closed my feet decided now would be a good time to give up and I went face first into the ground. Brilliant. Plodding on after picking myself up I reached the marshland and went knee-deep faster than you could say “knee-deep.” I know, I was in the middle of telling myself to be careful for the knee-dee… Unfortunately this continued for the next mile of marshland before the final loop back to the start. Going down more times than I care to admit I got some rhythm back and caught up with a group of leaders and managed to sit in nicely. Taking us along a nice rockface back towards the start I went down again, cursing aloud my decision to put trail shoes on. The final few hundred metres is a fast straight and then an almighty descent to the finish, and I was able to take back a few lost positions on my way to the finish. A great race and one that I recommended to anyone. Just wear fell shoes. Seriously. For a fell race, who knew? The Junior FRA Championships returned to more local climes for the fourth of the six round series. 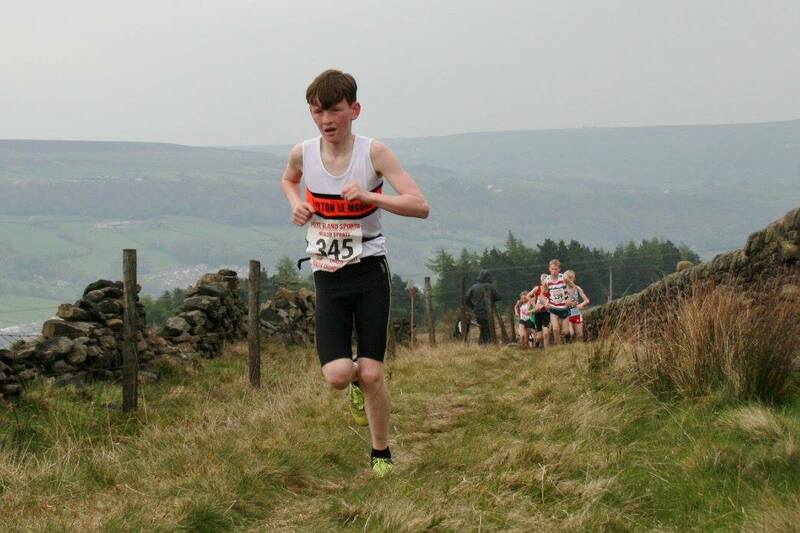 Run on a slightly different part of the valley side to the adult races, the junior courses featured a fairly steep grassy climb out of the start, some valley tracks and for the older runners a large dose of moorland bog running before all joining together for a headlong grassy spring downhill to the finish. 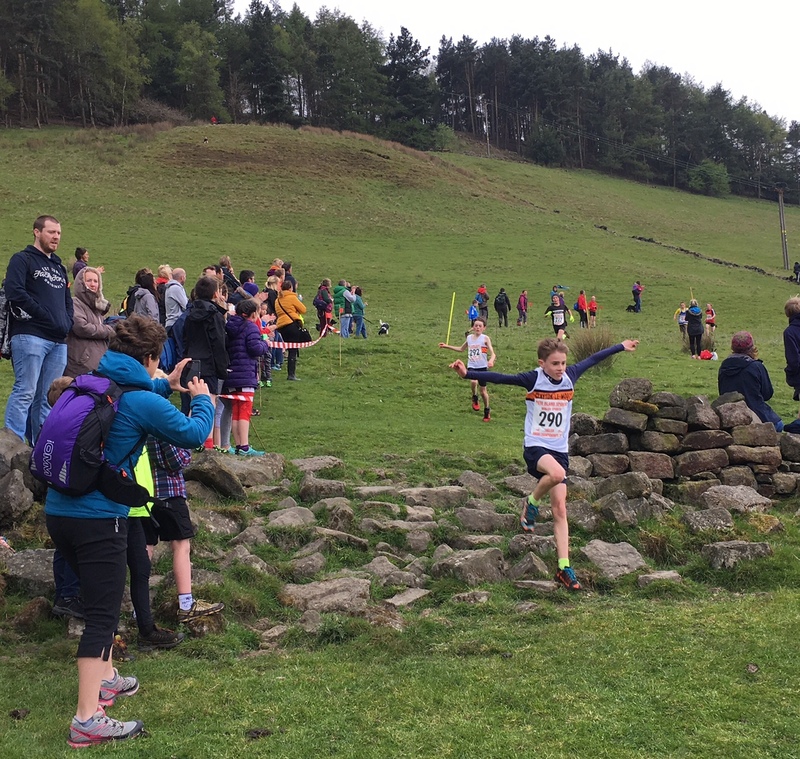 Josh McKay was the only Clayton junior in the U11 race, finishing 43rd. Jenson Bentham and Christopher Brown battled throughout the U13 race, Christopher just getting the better of Jenson in the flat out rush to the finish, ending up 22nd and 23rd. 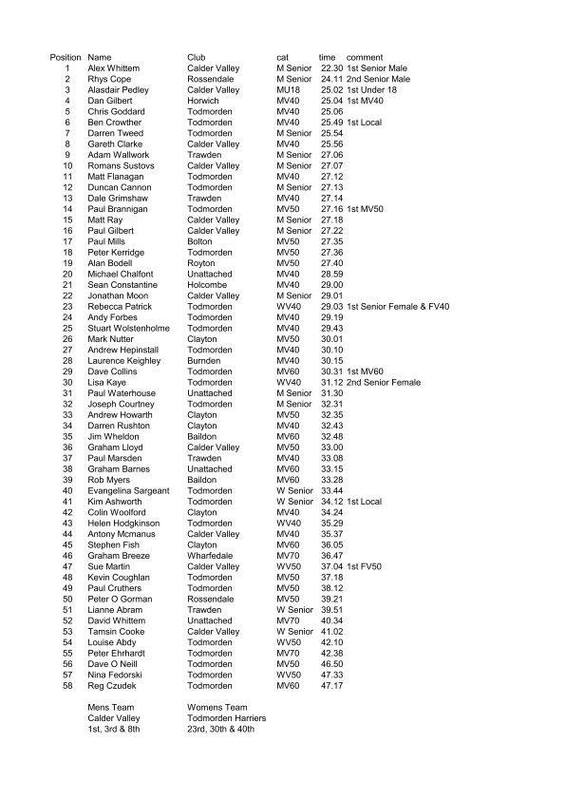 Helana White was 6th girl in 38th position. In the U15 race, Jackson McKay had a solid race in a stacked field to get a great 9th place. Ella Dorrington had her usual ‘relaxed’ start but made up good time through the bogs to get 18th girl and 56th overall. Jackson McKay working hard. Photo: Geoff Thompson. 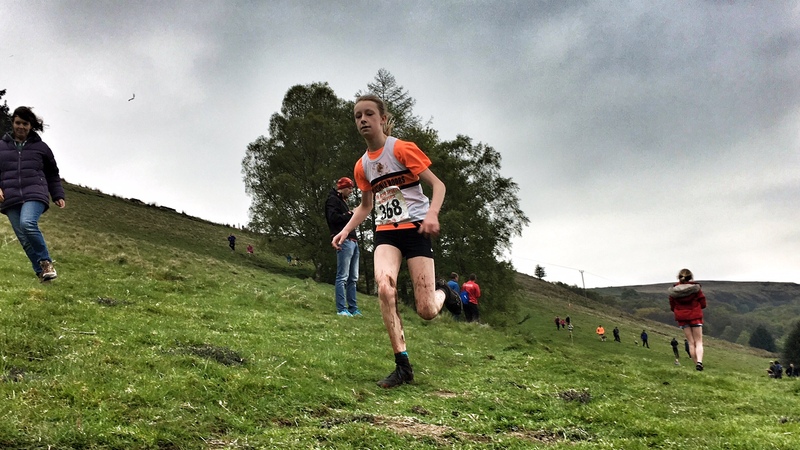 Briony Holt had a full on sprint finish after a tour of the bogs higher up, to claim a brilliant 4th girl position and 27th overall in the U17 race. 5 Imogen FERGUSON 8:53:00 JW11-14 New PB! 30 Matthew JACKSON 20:39 JM11-14 New PB! 142 Helen WELSH 25:46 VW45-49 New PB! 144 Caitlin WELSH 25:49 JW15-17 New PB! 152 Charlie PLANT 26:09 JW10 New PB! 321 Ellisia SMEDLEY 33:13 JW10 New PB! 324 Olly PLANT 33:34 JM10 New PB! 395 Helen HARRISON 27:05 VW45-49 New PB! 22 Carl CAREY 25:22 VM45-49 New PB! 62 Judith CAREY 32:40 VW35-39 New PB! This entry was posted in Juniors, Other News, Roundup, Seniors, Seniors Fell, Seniors Road by Alan Dorrington. Bookmark the permalink.